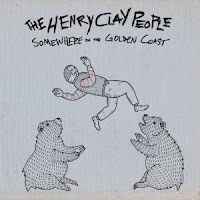 The Henry Clay People rank right up there with Free Energy as this summer's go-to for good timing rock n' roll. With their amps turned up and drums pounding, they channel that timeless sound of parties, bars, driving fast, and sleeping on couches. The songs are jam packed with sweet riffs, sing-along choruses, tinkling keys, and bashed cymbals. While the Replacements, Sam Roberts and many more have been there before, their youthful exuberance keeps it fresh and fun. I love the live-in-the-moment anthem of "End Of An Empire". It charges and soars with nicely-timed phrasing. "Your Famous Friends" (mp3) ratchets it up with a chorus perfectly punctuated with barroom cheers. While those two are the standout tracks, the whole album is great, solid throughout. 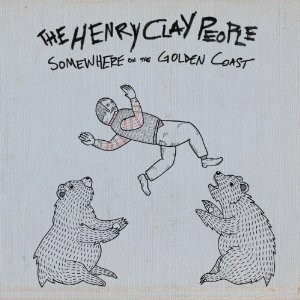 They are playing the Crystal Ballroom on July 29th. You can bet I'll be there with a beer in hand ready to cheer them on. Not sure if people still care about cover art, but this one is ranking highly for me for "best of the year."